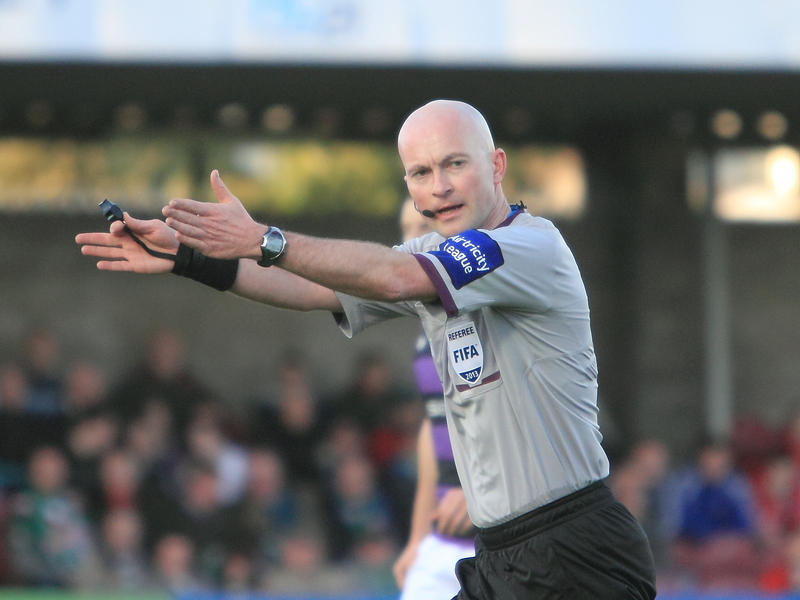 FIFA referee Padraigh Sutton took charge of EA Sports Cup Final between Shamrock Rovers and Drogheda United at Tallaght Stadium on Saturday 21st 2013. It was the first major domestic final as a referee for the 36-year-old garda sergeant who hails from Ennis and is based at Roxboro Garda Station in Limerick. He was previously an assistant referee at the 2001 League Cup Final and Fourth Official for the 2011 FAI Ford Cup Final. He has been a member of the FAI’s elite referees panel since 2000 having started refereeing in the Clare League in 1998 and is a graduate of the FAI’s school of excellence for referees. Sutton gained his FIFA referees badge in 2011. His achievement of making the FIFA list in 2011 earned him a Garda Sports Award that year, a honour he deeply appreciated, as An Garda Síochána have been extremely supportive of his refereeing career.